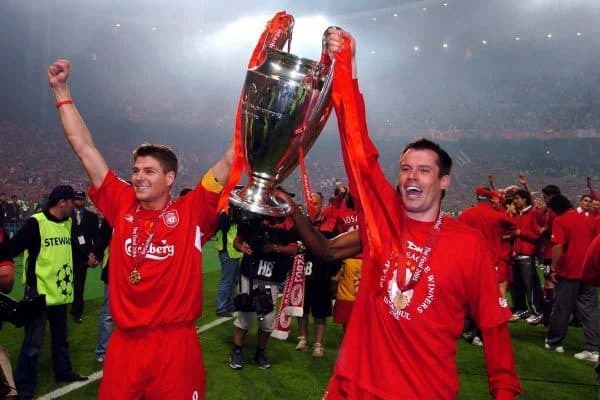 As the Liverpool Legends prepare to take on a star-studded AC Milan side on Saturday, we recall the best moment each Reds player enjoyed for the club. The stress of the Premier League and Champions League run-ins has made way for a much-anticipated Legends clash this weekend, while the international break also comes to the fore. 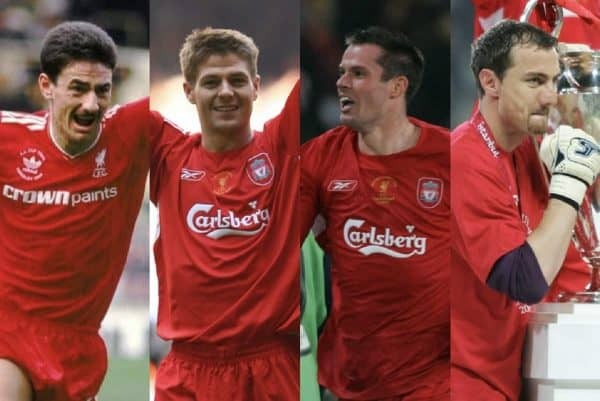 A sold-out crowd at Anfield will witness a team of former Liverpool greats face Milan Glorie, who will field the likes of Alessandro Nesta, Paolo Maldini, Andrea Pirlo and Kaka. With the game fast approaching, we have taken a trip down memory lane and selected the best moment each Reds legend experienced during their time at Anfield. NB: We’ve omitted Salif Diao and Bjorn Tore Kvarme, who only played 115 times for the club between them! The hero of Istanbul, Dudek will forever be remembered for his heroics in the 2005 Champions League final, whether it be his miraculous extra-time stop to deny Andriy Shevchenko, or his decisive penalty save from the Ukrainian. It gained him instant legendary status. We’re tempted to say the infamous punch-up with Francis Jeffers was Westerveld’s high point, but he was a more-than-capable goalkeeper. The Dutchman saved Andy Johnson’s must-score penalty in the 2001 League Cup final, as Gerard Houllier’s Reds went on to seal a memorable cup treble. Hyypia is one of Liverpool’s best centre-backs of the last 30 years, with so many inspirational performances produced along the way. His superbly taken volley in the 2005 quarter-final first leg at home to Juventus was a standout individual moment of glory, though, showcasing his underrated technical ability. It has to be Istanbul, doesn’t it? Carragher was colossal on that famous night against Milan, battling cramp late on and putting his body on the line. 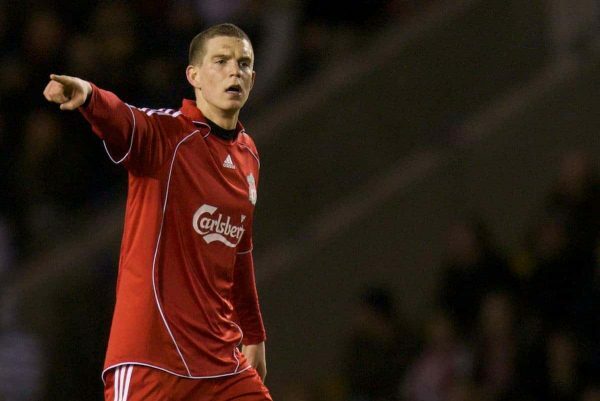 We were close to going with that stunning strike at home to West Ham in front of the Kop—his first Liverpool goal—but Agger’s Champions League semi-final effort in 2007 gets the nod. The silky defender curled a superb finish past Chelsea‘s Petr Cech, levelling the tie on aggregate and playing a huge role in the Reds eventually progressing to the final. 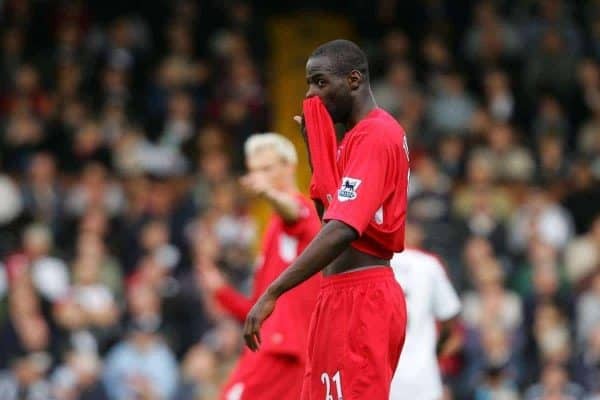 Johnson was a divisive figure during his time at Anfield, but his late winner away to former club Chelsea was a great moment. The right-back drove at the Blues’ defence before finishing well, wheeling away in delight. 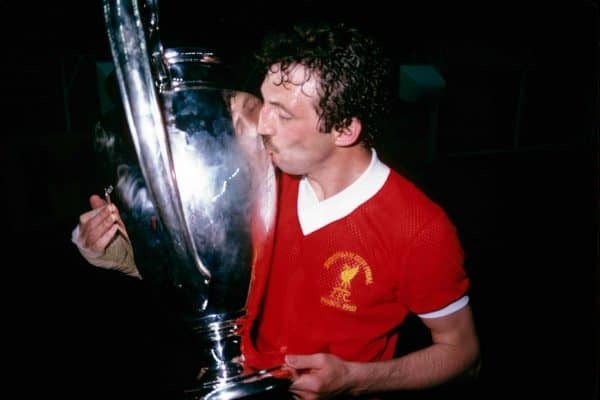 Imagine Andy Robertson scoring the only goal in a European Cup final—that’s what Kennedy achieved back in 1981. The former left-back’s strike against Real Madrid secured glory for Bob Paisley’s side, and three years later his penalty in the shootout did the same, this time at the expense of Roma. McAteer’s Reds career was more solid than spectacular, with the ex-Republic of Ireland international a key cog in the machine. His inch-perfect cross in the famous 4-3 win over Newcastle in 1996 allowed Stan Collymore to make it 3-3, prior to the striker firing home a last-gasp winner. The own goal at Burnley? Just kidding. 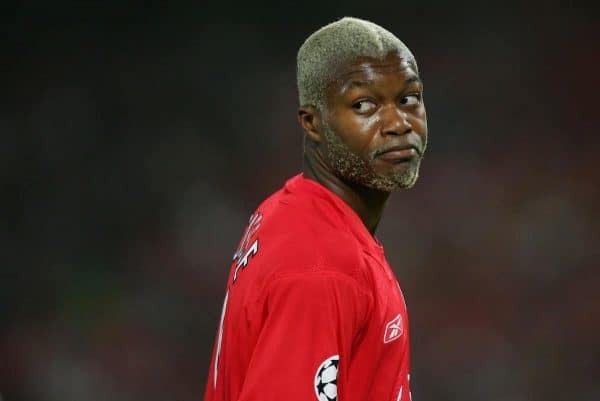 For all the derogatory comments that can come Traore’s way, he is still a Champions League winner and his clearance off the line against Milan, with the score at 3-3, is an unsung moment. 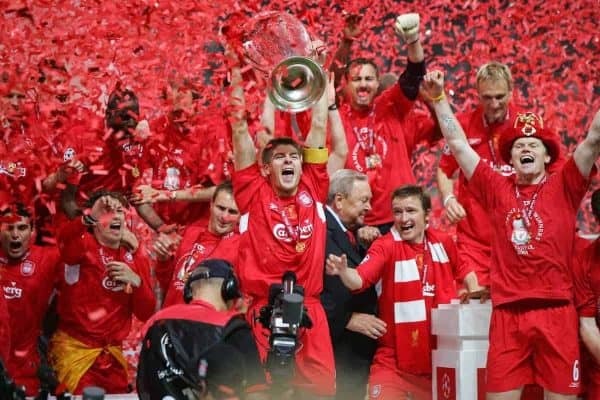 There are simply too many great moments that Gerrard produced, and while Istanbul will always be his career highlight, his 2006 FA Cup final performance against West Ham was without comparison. The outrageous last-minute half-volley that took the game into extra-time has to be one of Liverpool’s greatest-ever goals. 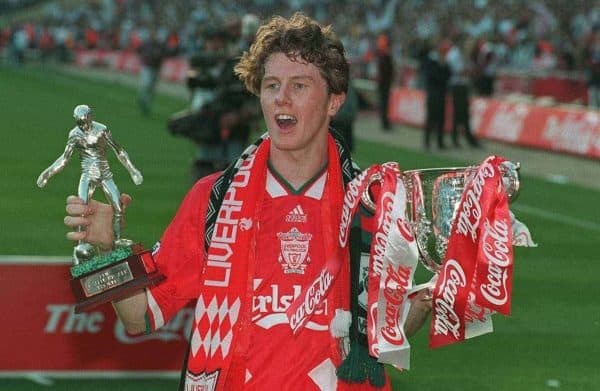 A player who has become underrated over time, McManaman was as big an influence as Robbie Fowler during the mid-1990s. 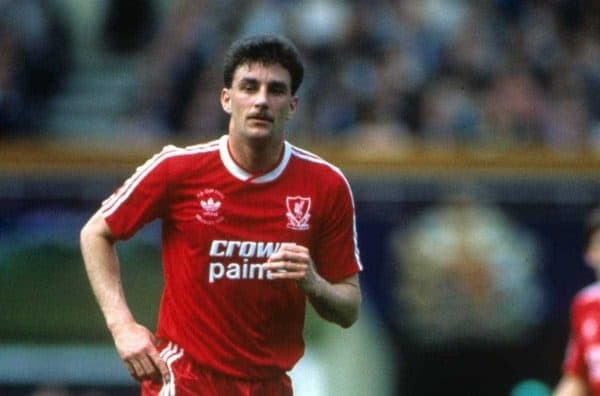 He almost single-handedly won Liverpool the 1995 League Cup, scoring twice in the final against Bolton and looking head and shoulders above anyone else on the pitch. While Garcia’s famous ‘ghost goal’ at home to Chelsea is tough to ignore, his stunning effort against Juventus in the previous round was a classic European moment. It took a remarkable strike to beat Gianluigi Buffon from that distance, as the Reds really started to dream of glory. Smicer’s goal in Istanbul was absolutely vital, dragging the Reds further back into the game. He also stroked home confidently in the shootout—his last-ever touch for the club. 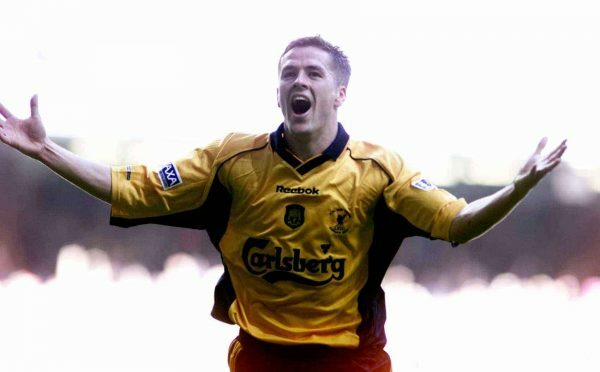 A special mention for his stoppage-time volley at home to Chelsea in 2002, which remains one of the best forgotten Liverpool goals. 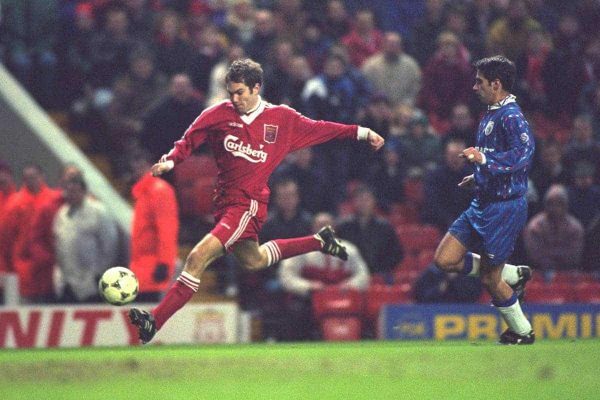 Berger never quite lived up to expectations at Anfield, but his long-range free-kick away to Man United in 2000 was unforgettable. If only he hadn’t suffered from so many injuries. 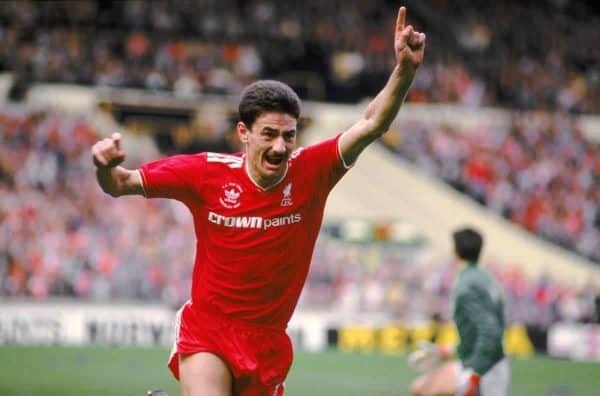 Ian Rush is the greatest goalscorer in Liverpool’s history, but one afternoon stands out from the rest. The Welshman netted four times at Goodison Park in 1982—an achievement that is still sung about to this day. 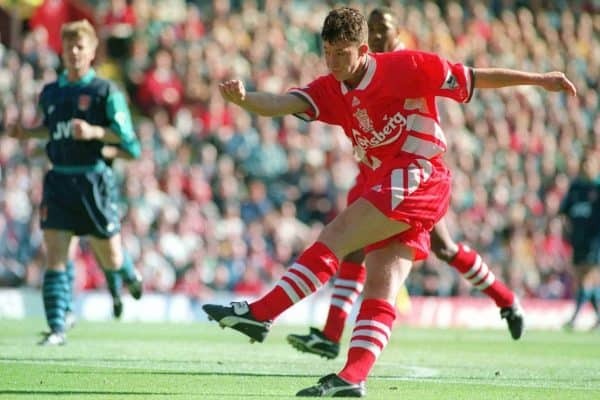 Fowler produced magic on such a regular basis that it is hard to pick out one goal, but his unforgettable hat-trick against Arsenal in 1994/95 stands out. God registered his treble in just four minutes and 33 seconds—a Premier League record since beaten by Sadio Mane while at Southampton (two minutes and 56 seconds). Say what you like about Owen, but he will always have Cardiff in 2001. It can sometimes be unfair on team-mates to say that a player wins a match on his own, but it really felt like Owen did against Arsenal, in a dramatic FA Cup final. Aldridge came to Liverpool relatively late in his career but he made up for lost time, filling the void left by Rush. His goal in the all-Merseyside 1989 FA Cup final, a year after his infamous miss against Wimbledon, is a moment he will forever cherish. Liverpool’s man for the big occasion is a cult hero and one of the most popular players of the 21st century. 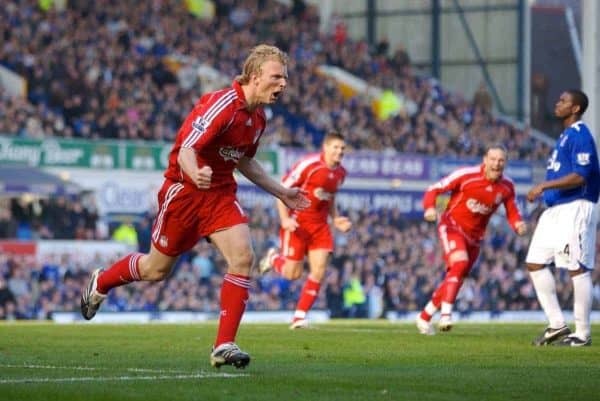 Nothing endears you to Reds supporters like scoring a last-gasp penalty at Goodison, so his effort back in 2007 just pips his hat-trick of tap-ins at home to United. It was even sweeter because he should have been sent off earlier for a lunge on Phil Neville. Cisse was hit-and-miss for Liverpool, but he stepped up in Istanbul, firing home his penalty under immense pressure. His volley in the 2006 FA Cup final wasn’t too bad, either.